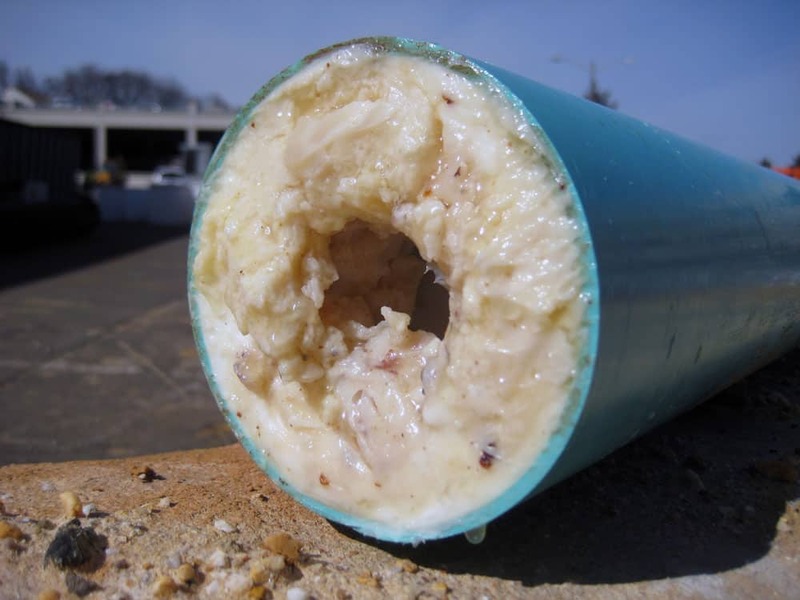 With the holiday season upon us, the Calaveras County Water District would like to remind customers that putting cooking fats, oils and grease (FOG) down the drain can cause significant problems for sewer systems. If FOG is washed down the drain, it can can lead to clogged sewer pipes at your home and business, which is the last thing anyone wants during a holiday celebration – not to mention the cost of calling out a plumber. FOG can also create clogs in CCWD’s main sewer lines, which could cause sewer spills. Never pour liquid grease down the drain. garbage or your kitchen scrap recycling. a lidded container with an absorbent material such as cat litter, and dispose of in the garbage. Wipe down greasy pots, pans or dishes with a paper towel or newspaper before washing. Dispose of paper in the garbage or your kitchen scrap recycling (where available). garbage, not a garbage disposal. 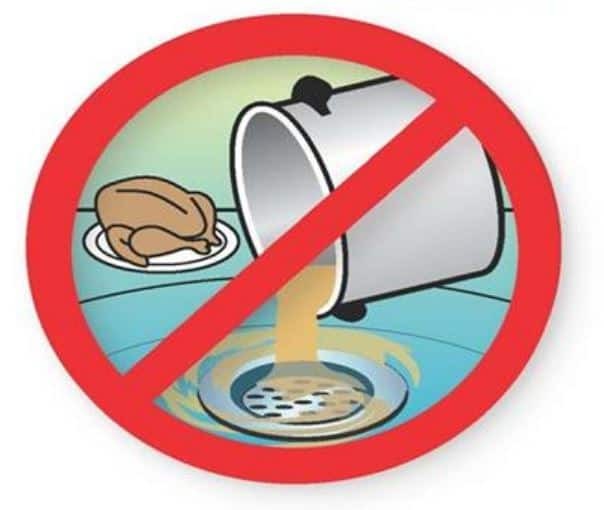 Do not wash grease down the drain or garbage disposal. What happens when FOG are put down the drain? your sewer pipes, home and belongings. Blockages may also trigger an overflow or backup of sewage into streets or waterways creating a public health risk and threatening the environment. The Calaveras County Water District thanks customers for their help, and wishes everyone a very happy holiday season!